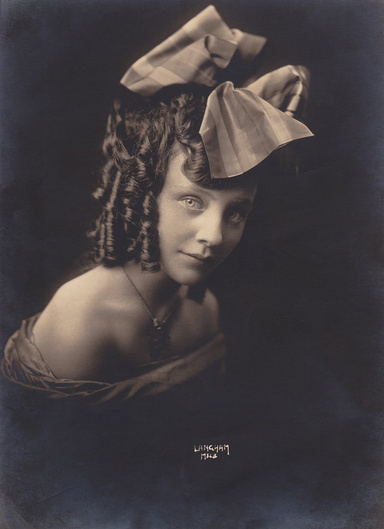 One of my favorite things about doing my own genealogy research is the photographs I often stumble upon. Being a portrait photographer, I tend to find myself taking a moment to stop and appreciate these old portraits and the photographer’s ability to capture a visually pleasing collection of light, all while using the equipment that was available to them at that time. 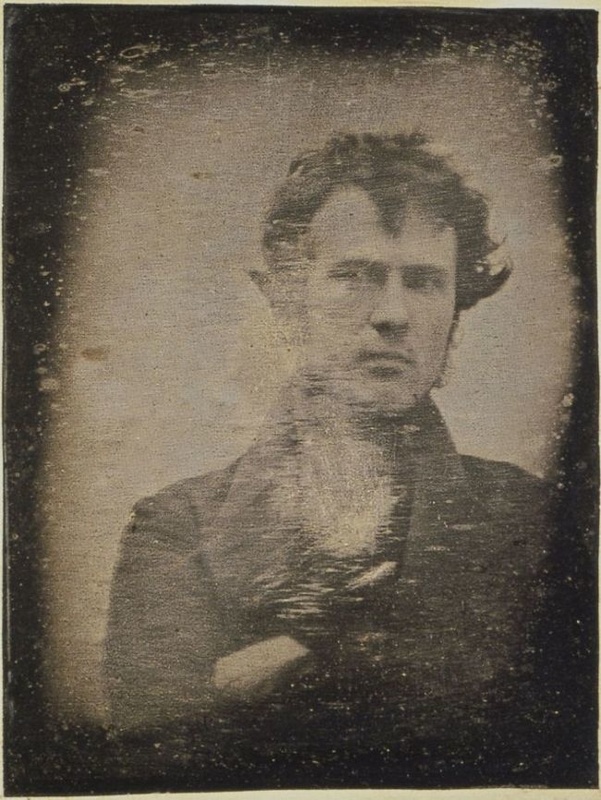 Robert Cornelius in what is believed to be the first self-portrait, 1839. A recent post on Reddit surfaced an image, roughly 100 years old, in which the photographer must have made the extra effort to include himself. 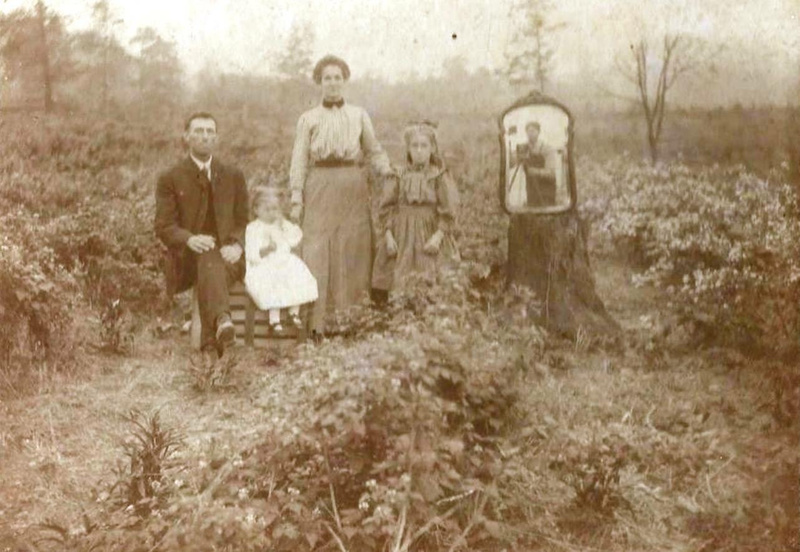 Seen in the photograph below is a family of four, pictured among the foliage likely surrounding their home — a common image in the U.S. throughout the early 20th century. Not so common is the placement of an ornate mirror, perched up on a tree stump in such a way that the photographer can be seen in its reflection. 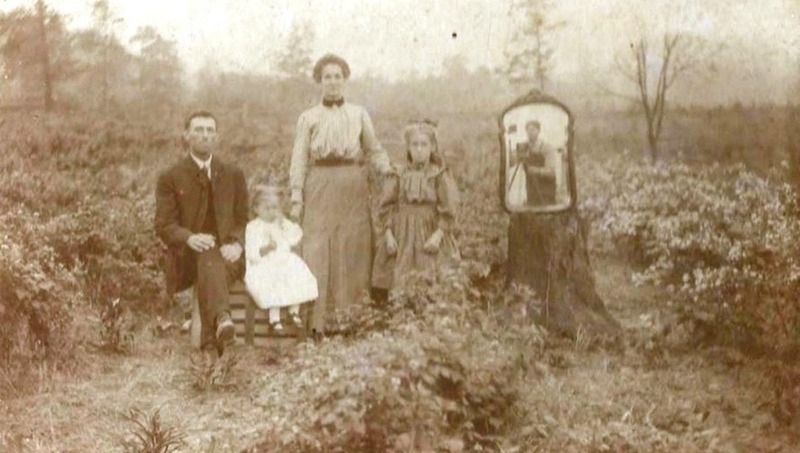 Perhaps this was a relative’s creative way to include himself in the family portrait? It’s hard to say, but I find old photographs such as this interesting to look at. 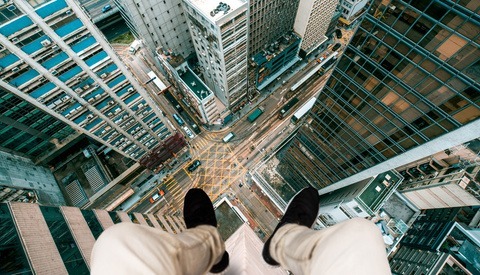 It isn't just the current generation that's known for snapping self portraits, and to the displeasure of some, the selfie isn't going anywhere. 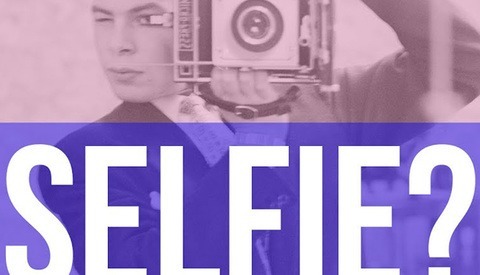 Let's see your most creative selfie in the comments below. Thanks, and like you I really love looking at old photos. Often in the country pubs around Australia they have historic images on the walls, and I always take time to look at them and wonder about the person who made them. Recently a family member found this photo of our Grandmother Mae, photographed in 1919 age 11. She died aged 105 2nd Sep 2018. Taken Langham Studios operated out of Bourke St, Melbourne. I'd love to know what gear they used, but the lighting, pose etc are fabulous and I'd be proud to get an image like this with modern kit. I wonder how photographers would approach the subject now because to my eye this is a slightly provacative image for such a young girl. Also, what does it mean to clean a historic photo? This one was torn and had the usual spots etc. There's a bluish tinge which I decided to leave. One school of thought says the aging of a photo is part of the story. Why, for example was this and the other few photos all torn in half? I guess cleaning/restoring old photos is like cleaning/restoring old paintings. I like to see what the photographer wanted to show. By the way, if Grandmother Mae was 11 in 1919 she’d be 110 when she died in 2018. Thanks for sharing, I love looking at old photos. 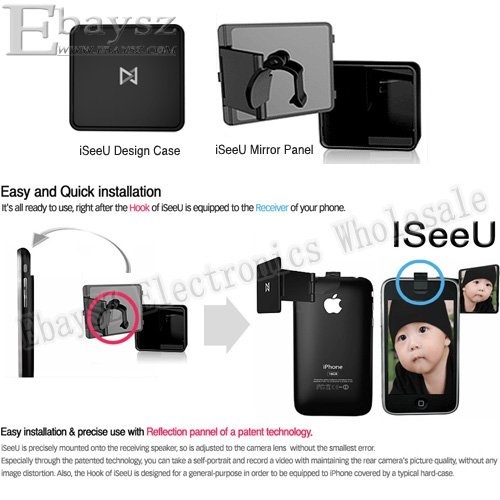 hell, people were doing similar things with their iPhones only 10 years ago, before the iPhone 4 arrived with a front facing camera. oh, the need to have the trendiest phone and let others know about it.